Last week, we reported on the results of the seventh annual Locavore Index compiled by the Vermont-based local food advocacy organization Strolling of the Heifers. A map of the United States, picturing the results, uses dark green to designate the top ten and brown to designate the bottom ten. The state of Arkansas (population 3,004,279) shows the most pronounced improvement in its ranking, moving up 10 spots from last year’s index to an overall ranking of 35. On the map depicting the 2018 rankings, Arkansas has turned to tan from last year’s brown. Bravo! A review of the seven different data sets used in the rankings for Arkansas indicates that if it were to improve its farm to school participation, where it is now ranked 51 out of 52 (in addition to the fifty states, Washington, DC and Puerto Rico are included in the rankings), it would further substantially improve its ranking. 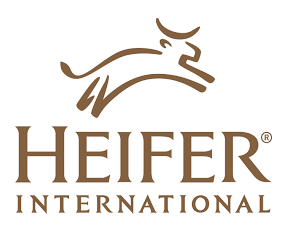 Heifer International, the non-profit organization, describes its mission as Working with communities to end world hunger and poverty and care for the Earth. The organization’s motto, A Cow, Not A Cup, is rooted in the teach a man to fish philosophy of its founder, Dan West, a farmer from the American Midwest.It works to empower families in three specified ways: by training people in sustainable farming, helping farmers gain access to the market, and helping women develop leadership skills so that they can have access to greater opportunities such as education and entrepreneurship. For more than 70 years, the organization has partnered with and helped communities in 125 countries. On its website, a world map shows the countries around the world where it has sponsored projects. In the United States, Heifer USA has helped to create two successful farmer-owned cooperatives in Arkansas (as well as similar farmer-owned enterprises in Appalachia). These cooperatives provide shared services such as marketing, packaging, distribution, credit and loan services. Grass Roots Farmers’ Cooperative based in Clinton (Van Buren County), Arkansas is a small-batch meat company delivering monthly shipments of responsibly raised meat to the customer’s door. Its vision is to restore consumers’ confidence in their food. And New South Produce Cooperative (formerly known as Foodshed Farms and incubated by Heifer International’s USA Country Programs) is a group of family farmers dedicated to growing great food while caring for the Earth and giving back to the communities of the eight family farms that are part of the cooperative. New South Produce Cooperative’s fresh certified organic and certified naturally grown produce is distributed to participants in its CSA (Community Supported Agriculture) program at 15 pickup locations around Northwest & Central Arkansas. Its summer CSA program is full-up, and it is now signing up participants for its fall 2018 CSA program. Kudos to the two Arkansas farmer-owned cooperatives and to Heifer International which incubated this positive change in Arkansas. 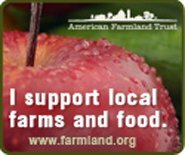 It raises the spirits to see farmer-owned businesses becoming financially viable and self-sustaining. May brown turn to tan and hopefully some day to green for more states on the Locavore Index’s map.